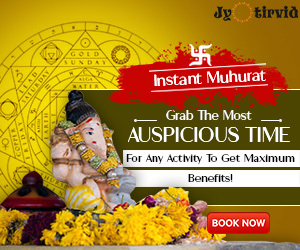 Masik Karthigai is a special monthly- festival, greatly admired by Tamil-Hindus. As per Tamil- calendar, it is a religious observance of the eminent festivity “Karthigai Deepamv ( Karthikai vilakkidu)” celebrated every month. In essence, it is solemnized to worship Lord Shiva and Lord Murugan inside their respective sanctum-sanctorum in the temples. 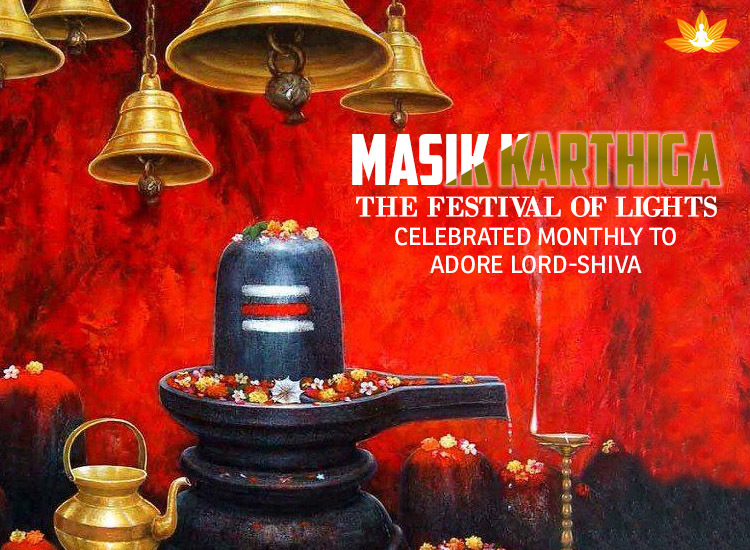 Masik Karthigai is a Hindu Festival of lights, gleams and brightness all around, celebrated monthly to adore Lord-Shiva. Masik Karthigai Festival – When does Masik Karthigai fall? 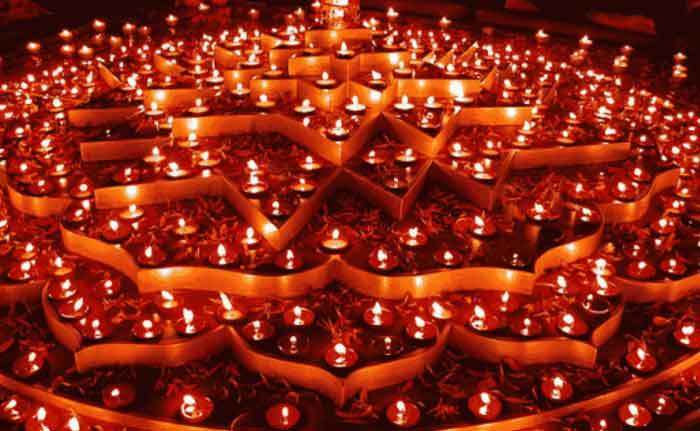 It is said that Masik Karthigai Deepam got its name from Nakshatra Karthigai or Krittika. Scientifically, it takes place, when the moon is in conjunction with the constellation Karthigai i.e. Pleiades and Pournami (Pooran Maasi) are at the same time, and this constellation is visible as a group of six stars in the cosmic universe (sky) which looks like a pendant from/on the ear. On Masik Karthigai, worshippers of Lord-Shiva and Lord-Murugan venerate their lovable gods in their home-temples and other pious places to witness their blessings and boons. Masik Karthigai is a belief that Karthigai Deepam is celebrated with the name Masik Karthigai every month. During Masik Karthigai, devotees light up streets with the earthen lamps- Deepam in the night time and beautiful decorations are done to embellish houses. Being the oldest and one of the ancient festivals of Tamil state and its populace, Karthigai Deepam is celebrated with deep fervour and show. Karthigai Deepam is performed on the day when Krittika Nakshatra is solemnized. Karthigai Deepam is very much popular on the hillocks of Thiruvannamalai where a gigantic fire lamp-Mahadeepam is flared up on the mountain- peak which can be seen from the ground-level. Hindu devotees pray to Lord- Shiva and pay homage to him. Legends hold it that this reverent day is devoted to the prime- deity of Hinduism -Lord Shiva. The trio of the most supreme gods- Trinity is worshiped and is allied with this notable festival. 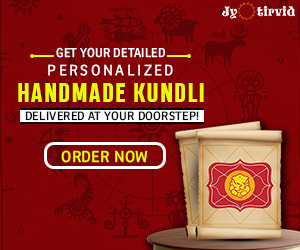 This also celebrates the holy birth of Lord Karthikeya, alsofamed as Lord Muruga, Lord Subramanya and Lord Shanmuga etc who is adored as the divine Son of Lord Shiva. Mythology reveals while there was a discussion going on over who is supreme and the most powerful among the trinity “Lord Brahma, Vishna and Maheshwara“. Lord Maheshwara (Shiva) converted himself in an innumerable blaze (flame) of light to prove his supremacy (power) to Lord Vishnu and Lord Brahma. Is Tantra Mantra Really Anti-Social? NO, IT IS NOT!